For the Conversion Kit version of Elder Mok, see Elder Mok (Conversion Kit). Once per turn, when another hero within 3 spaces of you recovers 1 or more or , you may recover 1 or 1 . Use at the start of your turn to look at the overlord's hand of Overlord cards. The overlord discards 1 card of your choice. 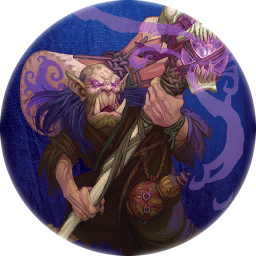 Elder Mok first appeared in the base game for Descent: Journeys in the Dark (first edition), where he was referred to as "Spiritspeaker Mok." This page was last modified on 8 August 2017, at 13:45.